Peach State natives Khalid, Butch Walker, Gucci Mane and Mattiel will be performing at the Music Midtown Festival this year. Photo courtesy of Live Nation/PBA. Thousands of festivalgoers will soon descend on Piedmont Park for this year’s Music Midtown. During the two-day music festival, headliners rapper Post Malone and Fall Out Boy, an alternative rock group, will take the stage on Saturday, Sept. 15. Rapper Kendrick Lamar and rock band Imagine Dragons will close out the music festival on Sunday, Sept. 16. More than 30 renowned musicians — such as Janelle Monáe, CHROMEO, Gucci Mane and Portugal. The Man — are also slated to perform on one of the four stages on the festival grounds. Know what to expect, from the performance schedule to wristband rules, ahead of the highly anticipated event. 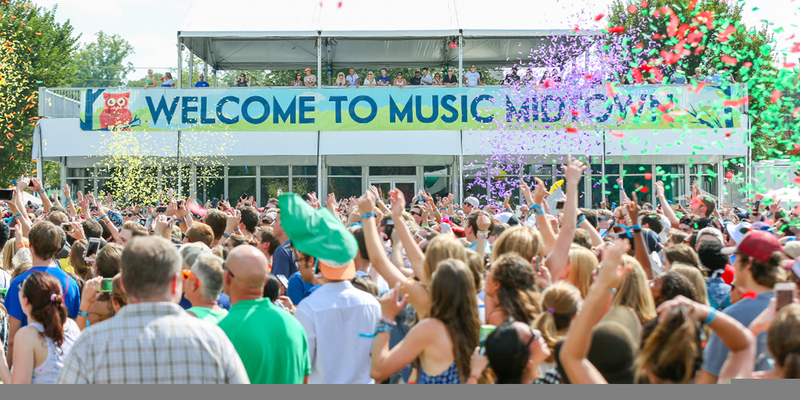 Festival grounds will open to Music Midtown attendees from noon to 11 p.m. Sept. 15 and noon to 10 p.m. Sept. 16. Stay tuned for a map of the location to be released ahead of the festival. Currently, two-day general admission tickets are being sold for $155 with additional fees and taxes. Add an extra $100 plus fees, per day to upgrade a general admission pass to a GA+ pass. These exclusive passes give attendees closer seating in the GA+ viewing sections. The 2-Day VIP tickets, costing $600 and fees, will buy festivalgoers VIP Lounge access, closer stage viewing, complimentary beer, wine and food and air-conditioned bathrooms. Super VIP 2-Day tickets are $1,250 with added fees. These ticket holders can expect to have access to an air-conditioned Super VIP “Luxury Lounge,” open bar, catered food selections and a golf cart to take them from stage to stage. Festivalgoers should expect to get the wristband in the mail. This year, a parking spot can be secured in advance of the festival online. The 10 10th Street Parking Deck is accepting space reservations. ADA Parking is available in surrounding lots. Two of the nearest MARTA train stations are the Midtown Station, 41 10th St. N.W. and Arts Center Station, 1255 W. Peachtree St. N.E. The Lindbergh Center Station is the nearest free MARTA parking lot.